Alok Vaid-Menon is an artist. 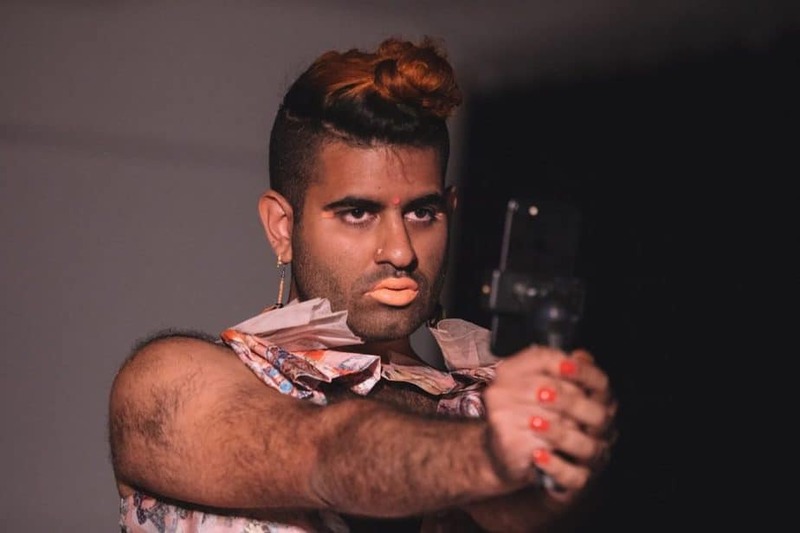 Alok Vaid-Menon is not an artist. Alok Vaid-Menon is an artist. 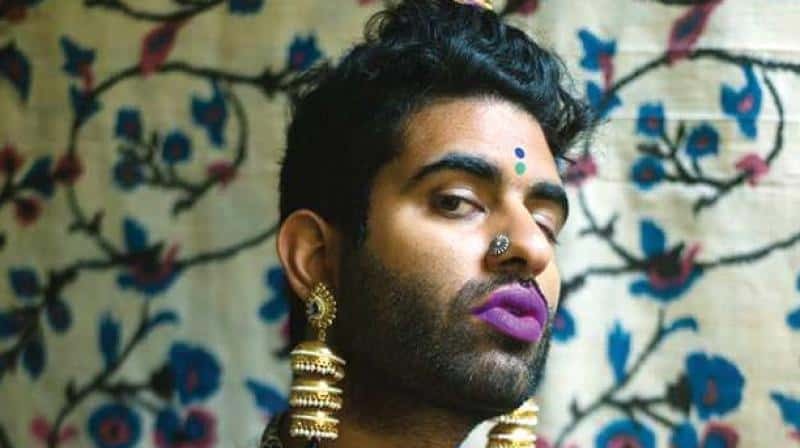 Alok Vaid-Menon is not an artist. 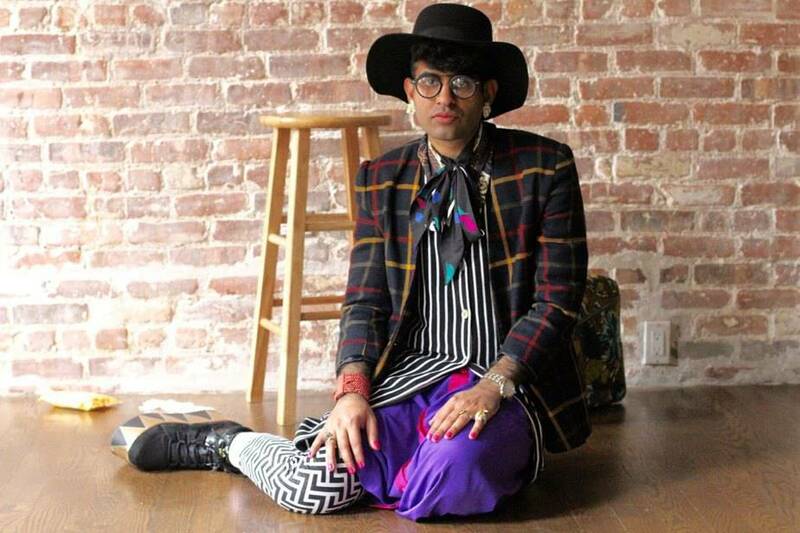 Alok (they/them), a gender non-conforming performance artist and writer, sometimes uses breathless repetition in their monologues to underscore important points. Sometimes these monologues go on for 30 minutes straight, without symmetry, arc, or pause. Sometimes these monologues have moments of profundity. Sometimes these monologues are rote. Sometimes Alok uses vocal effects and sound delays to paint hypnotic aural landscapes. Sometimes they shout, and then whisper. They stand on stage and broadcast their image on a giant screen behind them, but tell you not to stare or objectify. They contradict themselves. They build up and tear down straw men, the bruised and battered bogeys of contemporary identity politics. They receive knowing nods, murmurs of affirmation, and loud applause. And recently, they stopped for a performance in Chicago, a city more impatient than unfriendly with Alok’s genre of confrontational performance art. The kind generally tucked neatly into art school classrooms and backstreet galleries with obtuse names. Which is also likely why Alok landed this particular gig with the Visiting Artist Program at the School of the Art Institute of Chicago (SAIC), rather than at the more postcard-friendly venues in the downtown theater district a few blocks away. Not that the latter are a sign of artistic success, but Alok’s art, for better or worse, tends to suffer from the same solipsistic challenges as most other confrontational performance art. They have a stable platform and a strong, inspirational message—one that should ideally affect change and transformation—but it has been styled to suit the choir, not the audience. Of course this isn’t a knock on Alok. The Visiting Artists Program is a good gig if you can get it, and it comes with a built-in audience. The kind that can afford (or go deeply into debt for) SAIC’s $48,000 annual tuition. 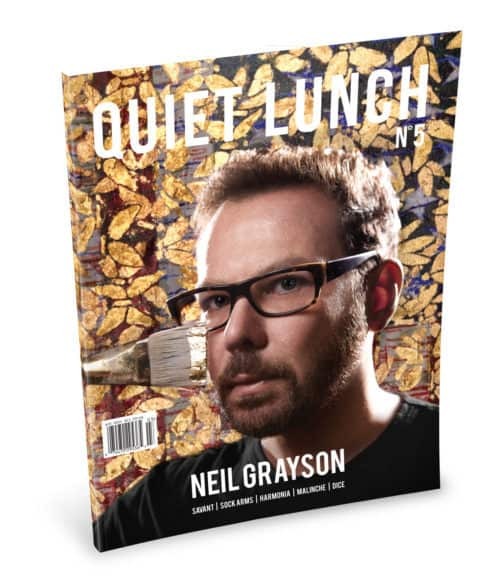 The kind already predisposed to accept and embrace outside ideas, because the professional pursuit of art in modern America is an outside idea, even if it’s paid for by a trust fund. And while Alok’s art would have something clever to say about being “outside” as such, their platform would lose its raw punchiness and political potency if it ever found itself carried into a mainstream tide and towards the sterilization pools of cultural status quo. And Alok is anything but, which is how and why they’ve gotten to where they are. You know, New York times, HBO, MTV, and so forth. Alok’s appeal, in other words, borders on a nascent cult of personality. You could see this in the half-block line of students, artists and Millennial counterculturalists waiting for the doors to open for Alok’s performance. Not that there’s anything wrong with personality cults, but such social gravitas often precludes political efficacy. And Alok’s message is as personal as it is political. It’s full of pathos and promise, but its intermittent moments of self-righteousness and self-deprecation—while refreshingly tongue-in-cheek—vaccinate its core philosophy against anything truly revolutionary. Alok’s message works when it empowers those unable to find words for their own identity struggles (e.g. “You Are Worth More Than Your Trauma”), but when they take the soapbox to address society’s shortsightedness (e.g. “Shift Your Paradigm: Nonbinary People Aren’t Too Complicated”), it’s unclear who is supposed to be the subject of such injunctions. There’s a clear line drawn between civic activism and cultural identity politics in Alok’s work. The former generally has no room for pageantry, while the latter is more conducive to building a social media presence and booking a visiting artist gig at a prestigious art school. But on the other hand, the buttoned-up, business-professional aesthetic of civic dialogue is a uniformed contrivance. And just because identity politics has no real utilitarian substance does not make it meaningless or unimportant. So as much as Alok is a product of their audience, without artists like Alok, the audience would have no voice. Alok’s performance—at least how it played in Chicago—would never work on a civic platform, only because that platform is stuffy as hell. There’s no room for killer homemade dresses at the DNC (and no dresses at all for the RNC). But the more Alok’s work is relegated to art schools and hyper-partisan forums, the more their potential for impact will diminish. When it comes to justice for any kind of oppressed or abused people group, I personally want those voices to be loud as hell. But just because Alok’s vocal effects and trippy big-screen face-swap experiments occasionally maxed out the AV system at SAIC does not mean that the people who should have been hearing that message were actually able to hear it (if any of those “you’s” were in the audience in the first place). It’s unclear if Alok’s work is interested camaraderie and companionship, or contest and confrontation. Probably both, but because they don’t fully commit to either, the performance largely plays as niche entertainment (i.e. cult of personality). Their soliloquies and sound poems are guidebooks for the proper nomenclature of gender nonconformity. And certainly language itself is the source of social violence and the punishment of difference, but Alok’s self-described “eclectic” style leaves little room for philosophical exposition. It’s personal and honest and safe. Thus, gravitas. Alok’s work shines when it’s personal, though the reality of life as a transgendered or gender non-conforming person is awash in physical and psychological trauma. It’s difficult to hear about the abuses endured by Alok and other challengers and inheritors of the gender binary. The insults and the pummelings. Certainly we’d have a more utopic state if the public were more open to hearing and understanding stories from Alok and others who have suffered as the result of negative ideology, institutional ignorance and linguistic myopia. But in a culture (or at least a city like Chicago) dominated by a fetish for categorization and quantification, performance art is too elusive, irreproducible, and niche to be anything but entertainment at the worst and provocation at the best. Provocation at the best. Provocation at the best.